You know two things for sure when you get suited up to play in the Shark Tank: It’s going to be loud, and it’s going to be physical. Our game against San Jose in late January 2013 was no exception. Near the end of the first period, I was carrying the puck through the neutral zone when I saw “Jumbo” Joe Thornton coming to clog up the middle of the ice. I curled to the boards to avoid his stick-check, and the puck flipped up on edge. I looked down for a split second to gather it. When I picked my head back up, everything went black. I just remember hearing the crowd roaring as I slowly got back to my feet. I’d lost my stick in the collision and I couldn’t find it, so I just skated back to the bench as quickly as I could. I didn’t want to give the crowd anything extra to feed on. When I reached the bench, I knew I had got caught pretty good. There was blood pouring from my nose, and I could feel that I had tweaked my knee, too. When I limped back to the dressing room, my primary concern was actually my knee, not my head. Subconsciously, you know after taking that hard of a hit that something must be wrong with your head. There’s just no way your brain comes away from that kind of collision unscathed. But in the moment, my head felt fine. I didn’t have any immediate concussion symptoms. The trainers cleaned up my broken nose, put a brace on my knee and I went back out and finished the game. 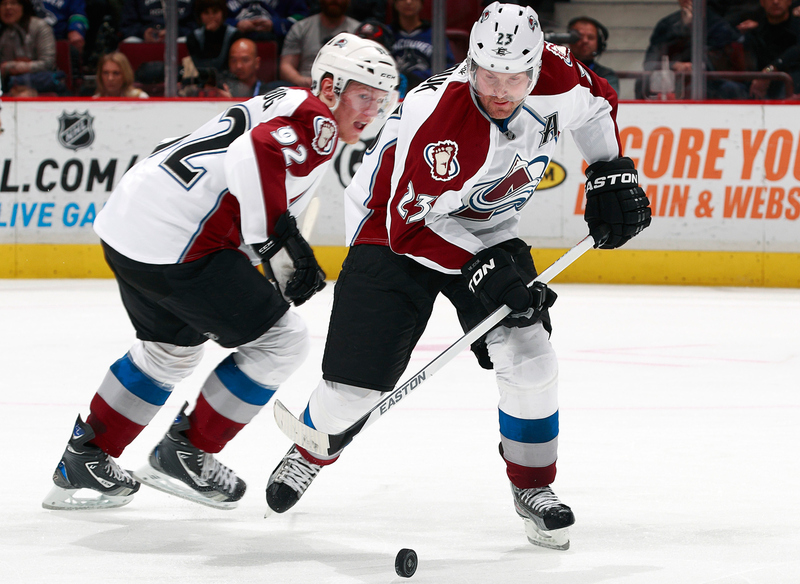 The previous summer, right before training camp was supposed to start, I was relaxing with some friends in Toronto when I noticed that I had a voicemail from my teammate Milan Hejduk. I wasn’t expecting a call from Milan. When I was a kid growing up in Stockholm in the early 2000s, I used to watch Milan tear it up with my hero, Peter Forsberg, on TV. 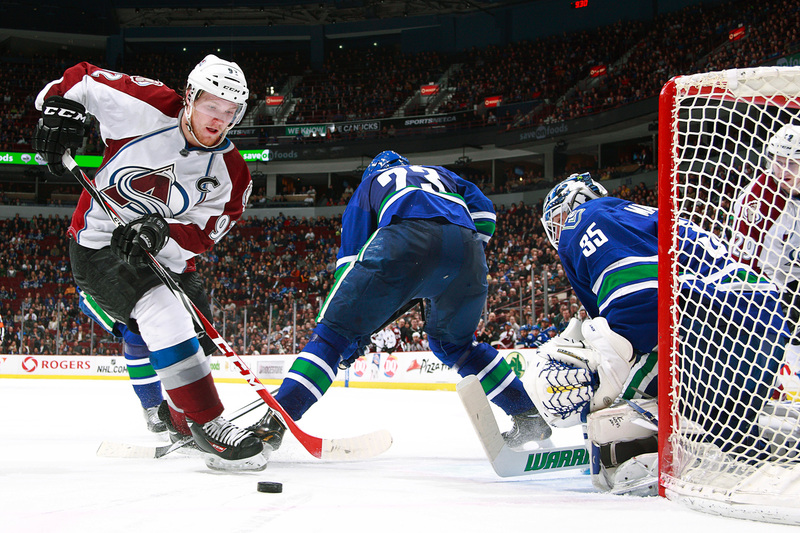 When I got drafted by the Avalanche, I got to actually know him and had the pleasure of sitting right next to him the locker room. I just tried to absorb everything he did. I figured it was a “players only” meeting to plan out the season and what was expected of everyone. 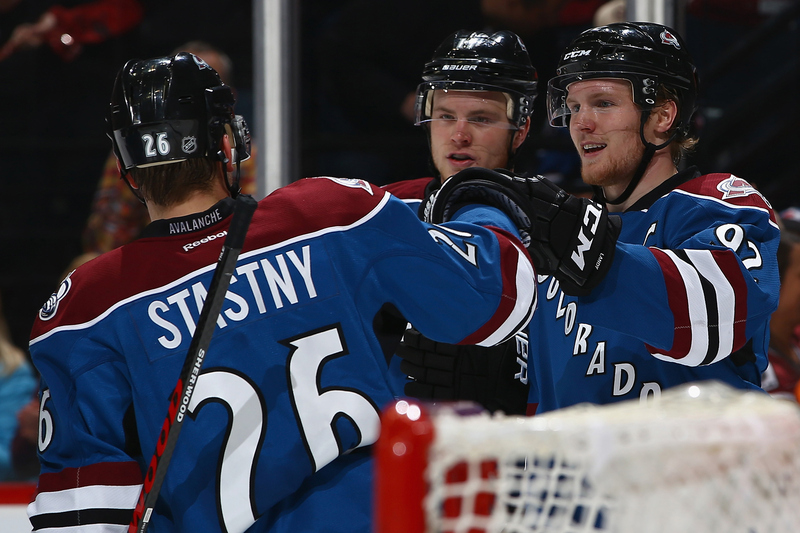 I was 19 years old and had just finished my first season in the NHL, so I was just excited to get back to Colorado and be around the guys again. When I got back to Denver a few days later, Milan texted me to tell me to meet him at the arena in the morning. When I arrived, I noticed that there weren’t many cars in the parking lot. I figured I must be early. Then I walked into the office, and the only people there were me, Milan and Joe Sacco, our coach at the time. I genuinely had no idea what was going on, so I just tried to keep a poker face. We all sat down and Milan started speaking, and I almost couldn’t comprehend what he was saying. It really came out of nowhere. I hadn’t even heard any rumblings that it was a possibility. I didn’t know what to think. After the initial shock, I was overwhelmed with feelings of pride. It was so humbling that Milan and our staff believed that I was the man for the job. They were making me the youngest captain in NHL history. I remember I called my dad from the parking lot right after the meeting and told him the news, and I was at a loss for words. He was just as shocked as I was. From that day on, I felt such a tremendous responsibility to live up to the bar set by former Avalanche captains like Milan, Adam Foote and Joe Sakic. 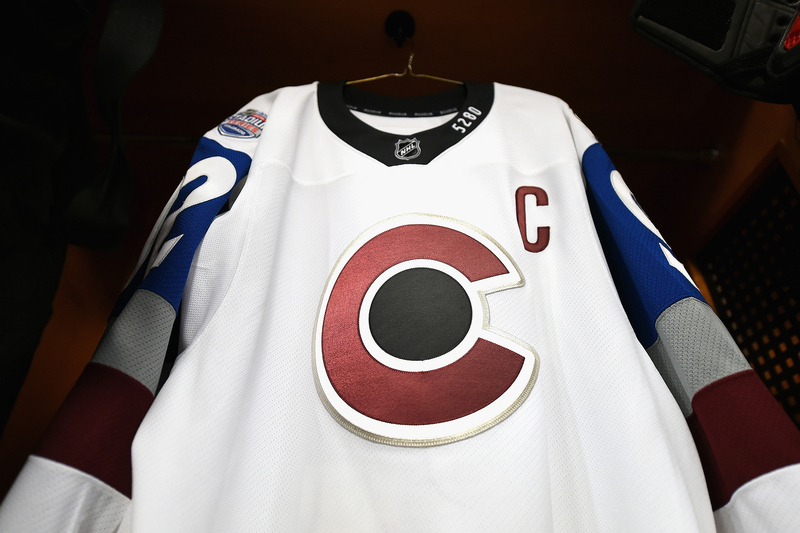 There’s two things every captain remembers: The first time they see the C stitched on the front of their sweater, and the first time they have to call a players only meeting. During my first one, I think I probably spoke for about 15 seconds before throwing it over to Paul Stastny or one of the other veterans. My voice was a little shaky. I can’t even remember what I said. I just remember looking out at everyone’s faces and trying to make sense. Being a young captain, I knew that I would have to primarily lead by example on the ice. So when I got caught by that huge hit in San Jose just a few games into the lockout-shortened 2012-13 season, nothing was going to keep me out of that game. In retrospect, I should have made a better decision. We flew to Edmonton after the game, and when I woke up at the hotel the next morning, my head was throbbing. It felt like two cement blocks were pushing against the sides of my skull. I remember my alarm kept going off, and the sound was just killing me. When I looked down at my phone to call our trainer, the brightness was so excruciating that I had to turn away. Thankfully, I did admit that I had a headache. He told me to come to rink to get checked out. In my head, I was still thinking that I’d play that night. But when I lay down on the trainer’s table and stared up at the ceiling, the glare from the fluorescent lights were excruciating. I actually had to put a towel over my face because the light was bothering me even with my eyes closed. It felt like two cement blocks were pushing against the sides of my skull. It felt like I had a headache right behind my eyelids, in addition to my regular headache. It was like a double headache. Then I heard the guys laughing and joking in the locker room, and the noise was making me irritated. It was the weirdest thing, because as a hockey player, that’s why you absolutely love coming to the rink every day — to hear that banter. But now it was really bothering me. On top of that, I had 20 guys coming into the trainer’s room, one after the other, asking me how I was doing. They just wanted to show their support, but it was tough because I couldn’t help but put on a brave face and lie about how I was feeling. In the business we’re in, momentum is everything. If one guy is moping around, it spreads really quickly to everyone in the room. So you constantly want to be spreading good energy to your teammates. You don’t want to admit that you’re suffering and bum your teammates out — or distract them at all. Having a concussion is physically painful, but the mental anguish it causes creates an even more dangerous cycle. You don’t know how to articulate the pain you’re feeling and make people understand, and you also don’t want to let them down. It feels like you’re trapped in your own little bubble, and you don’t know how to deal with it. Thankfully, our team doctors made sure that I saw a specialist to figure out what was going on. So I flew back to Denver that day to get a full evaluation. The doctors diagnosed me with a concussion and gave me some pretty strict guidelines to make sure my brain could recuperate. The toughest one was that I couldn’t turn on the TV for the first week. Of course, I couldn’t go to the arena either because the noise of 20,000 people wasn’t going to help me get better. So that meant I couldn’t even watch my team play. If you are a hockey player, you know how difficult that is. If you aren’t a hockey player, imagine how you felt as a little kid when you got sick and had to miss school for a week. All you do is think about what your friends are doing, and what jokes you’re missing out on. I had that exact feeling. After the first week, I was allowed to watch TV in short 15-minute bursts. I remember sitting in my townhouse in Denver with my friend Johan around 6 p.m., and I had to tell him to turn off the TV — then all the lights in the house. Johan was totally cool about it, but he figured he would put on some soft lighting so we could see. So he turned on the little electric fireplace in the corner of the room. Johan almost started laughing. He thought I was messing with him. He turned it off and we sat in complete darkness. I think about that moment now, because it’s just so hard for people who have never had a concussion to understand what you’re going through. It’s not their fault. When you’re young and it’s your first time experiencing these symptoms, it can also very difficult for you to explain what you’re feeling. An 18-year-old hockey player doesn’t have any trouble describing a ligament tear or a broken nose, but describing a sensation like a “mental fog” is a lot more difficult. I was lucky to have some of the best trainers and specialists in the country taking care of me, but imagine a youth hockey player in Manitoba or Florida with the same symptoms — imagine how lost they would feel. The reason I am writing this article is not to dwell on the dangers of playing hockey. In fact, quite the opposite. 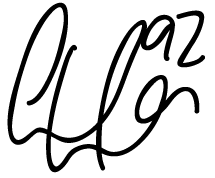 I want kids and parents to understand the complexity of postconcussion syndrome while also understanding that if you take the injury seriously and allow yourself the proper time to heal, you can overcome it. I sat out 11 games of a lockout-shortened season in order to recover fully from my concussion. To be completely honest, it was brutal. Every day, I had to fight the feeling that I was letting my teammates down. But it was necessary. We talk a lot about concussion prevention and protocols — and rightfully so. The danger we don’t always talk about, however, is the incredible pressure you feel to rush back after you’ve already been diagnosed with a concussion. Like most professional athletes, I believed that if something wasn’t broken, you shouldn’t take time off. This was the kind of pressure I was putting on myself and it’s an attitude that runs rampant in sports. It’s so important to realize the difference between a head injury and the bumps and bruises that come with a strenuous 82-game season. When it comes to head injuries, you have to fight the feeling of wanting to get back as fast as you can. This is where support makes a big difference. I can’t stress enough how important that was to me. If even one teammate had said something like, “Man, we really need you back. You’re putting us in a tough spot,” I don’t know if I would’ve had the patience to fully recover. I’m not only writing this article for NHL, college and junior players, but also for youth hockey players who might hear their friends complaining about headaches or the lights in the locker room bothering them. You shouldn’t just let it go. Tell your coach or your parents what’s going on with your teammate. One thing I’ve learned about leadership is that it’s not always about being a rah-rah guy, or giving a great speech. Sometimes it’s just about looking out for your teammates and understanding what they’re going through. That includes the injuries that you can’t see — that don’t bleed all over your jersey like my broken nose did. 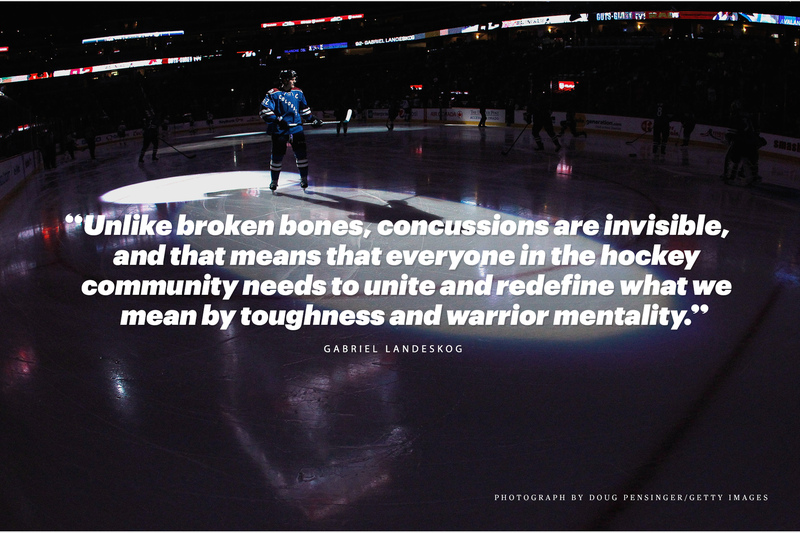 Unlike broken bones, concussions are invisible, and that means that everyone in the hockey community needs to unite and redefine what we mean by toughness and warrior mentality. If we continue to keep quiet, it’s sending the message that taking time to recover is not right, or that it’s a sign of weakness. We have to stand up and speak up. When I was sitting in the dark with Johan, unable to watch my own team play on TV, the only thing that kept me positive was the thought of getting back on the ice and doing what I love. My concussion was the hardest injury I’ve had to overcome, but in the end, I got better. After two months, I got back on the ice to help my team at 100%. The key word is 100%. For better or worse, I’m a guy who can’t do anything at 80%. The only way I can get into a hockey game is to feel contact. I need to crash into some walls or else I feel like I’m just standing around out there. My first game back, I was all in, throwing my body around like normal. When the game was over, I was taking off my gear in the locker room and my entire body was sore. My head was fine, but everything else ached. I felt like an old man. Hockey players learn to love that feeling. It was the best. It took me back to one of my first days in Colorado, as an 18-year-old kid, when I was sitting around the weight room watching Paul Stastny “activate” his body before practice. He was doing all these special stretches to loosen up his hips and back before he even put on his gear — all the little everyday things veterans do to get their bodies ready. As a naive kid, it looked funny to me. He was only like 26 at the time. That’s the kind of gruelling stuff that people don’t even see. That’s the stuff hockey players fight through over an 82-game schedule. That’s the warrior spirit. But the brain is a very different thing. You only have one brain. If you don’t take care of it, you can really suffer the consequences for a long time. If you’re feeling foggy, or sitting in a dark room wondering what’s wrong with you, go see a doctor immediately. Take as much time as you need to recover. 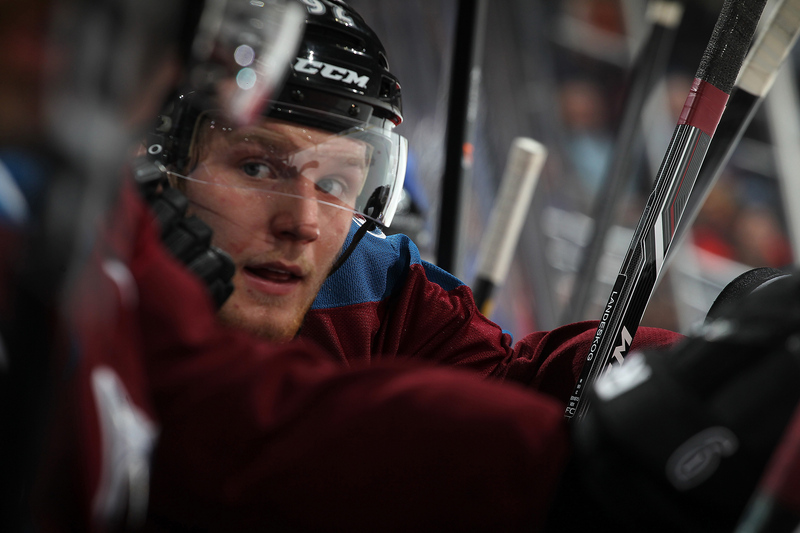 If anyone tells you that’s a sign of weakness, you can tell them that Gabe Landeskog is weak, too. 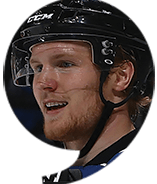 * Gabriel Landeskog has recently started working with EMPWR to help advance the recovery conversation and create a better understanding of the resources available to the public. For more information, please visit EMPWR.ca.